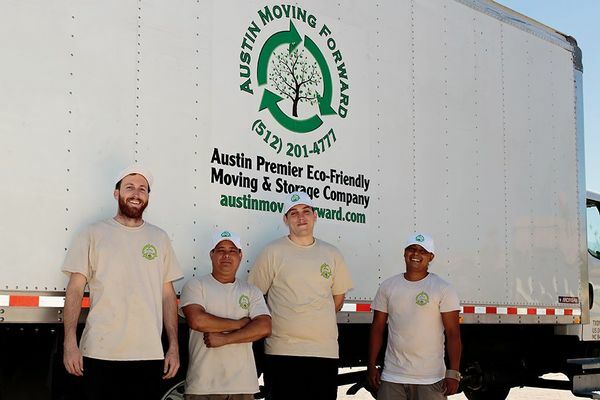 Welcome to Austin Moving Forward, Austin’s premiere eco-friendly moving company! Our founder is a busy mother of two who felt it was important that children and future generations grow up in a less toxic world. This is our company's core belief. We use recycled boxes, wrapping paper and plastic, biodegradable packing adhesives and Loaner Boxes to reduce our carbon footprint. We are licensed, bonded, and fully insured and all of our services are handled by a professional team, trained to ensure a hassle free moving process. Our team of professionally trained movers will disassemble and reassemble your larger furniture, pack and unpack, and protect and wrap your fragile items for transport. We can also store your furnishings in our state-of-the-art storage facility, for as long as you need us to.